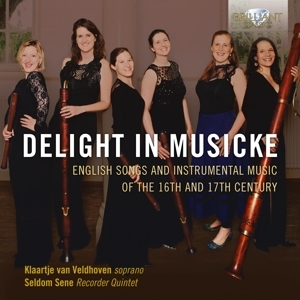 Recorder quintet SELDOM SENE, founded in Amsterdam in 2009, is a group of five musicians with a mutual passion for consort playing. With a combined interest in the interpretation and performance of both early and contemporary music, these highly skilled and dynamic players each bring a wealth of expertise, creativity, passion and virtuosity to the ensemble. With inventive programmes that juxtapose early and contemporary music, Seldom Sene excels at all aspects of ensemble playing, performing with "power, precision and profound expression" (Gustavo Beytelmann, Illzach 2011). The musicians originate from Germany, England, Spain and Holland and met whilst studying at the Amsterdam Conservatoire. 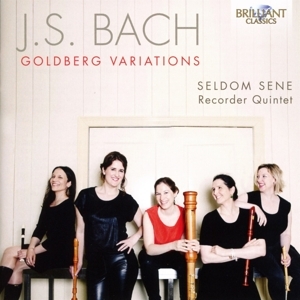 They perform on a collection of over 50 different recorders, including a variety of baroque and modern instruments and also own renaissance consorts with recorders made by Bob Marvin, Francesco Li Virghi, Monika Musch and Ture Bergstrøm. Whilst searching for more unfamiliar repertoire, one of the first pieces to catch their attention was Seldom sene by the English composer Christopher Tye – a short work full of beauty, precision and striking rhythmic complexity that they felt captured the essence of their vision: performing unique and compelling repertoire at a standard that is seldomly seen and heard. Since their foundation, "Seldom Sene excels because of their excellent musical interpretation and beautiful choice of repertoire" (Frédéric de Roos, Le Mans 2009). In October 2009 the group made their debut at the "Concours International d’Ensembles de Flûte á bec" organised by the "Société des Amis de Arnold Dolmetsch" in Le Mans where they were awarded 1st Prize. In 2011 they received the Interpretation Prize (by unanimous vote of the five jury members) at the 17th International Chamber Music Competition in Illzach (France). In September 2014 they were awarded the First Prize, the Audience Award and the Press Prize of the International Van Wassenaer Early Music Competition, which took place during the Utrecht Early Music Festival. Seldom Sene gave recitals in renowned series and festivals in Belgium, France, Germany, The Netherlands, Austria, Portugal and Spain. 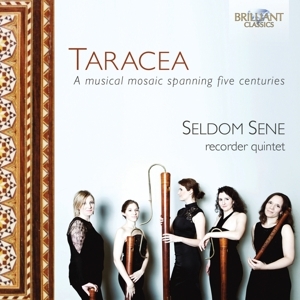 Taracea, their first CD for the Dutch label Brilliant Classics was released in September 2014. 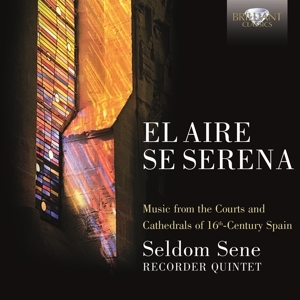 El aire se serena, a compilation of music from the courts and cathedrals of 16th century Spain, appeared in February 2016.